A massive “bomb cyclone” tore through the midwest between March 12 and 13, 2019, and with it came flooding and damage that is estimated in the billions of dollars. In Nebraska, the state is looking at approximately $1.3 billion dollars just in flood damage alone. For those unfamiliar with what a bomb cyclone is, “CNN” explains that this weather phenomenon, “occurs when cold winds blowing over land collide with warm ocean breezes. This causes a very fast drop in pressure and the result is kind of a cold hurricane.” It is a colorful name for a rapidly changing weather system that can cause catastrophic damage, as is the case in Nebraska. However, while the people of Nebraska may be dealing with the aftermath of the bomb cyclone and its subsequent flooding, according to “Delish,” two men who were helping with storm cleanup found what they believed to be a “heaven sent” gift. The two Nebraska men, Gayland Stouffer and Kyle Simpson, had completed a long day of wading through water that came up to their chests, when they stumbled across a fridge full of beers. While they were at first skeptical of their find, the fridge, which was full of both Bud Light and Busch Light, was a gift after a long day of work. The two men did in fact crack open one or two beers and even shared pictures of themselves with their find on Facebook. 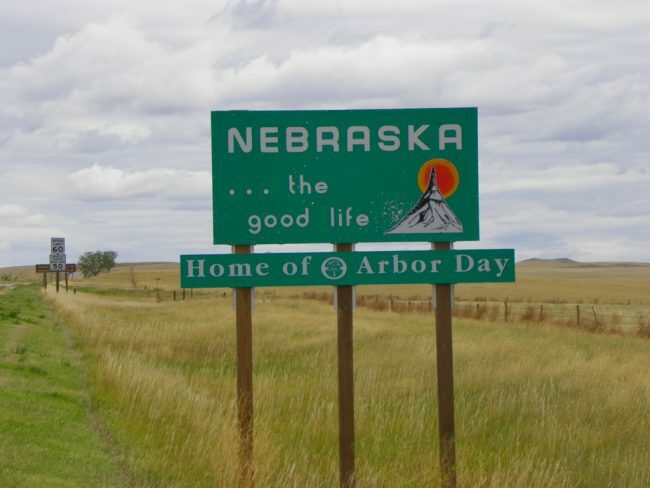 Considering Nebraska is not that large of a state, it should come as no surprise that it did not take long for the picture to do the rounds and for the owner of the heaven sent fridge to step forward. According to the “Lincoln Journal Star,” Brian Healy saw the picture that the two men posted to Facebook and thought the fridge looked familiar. Upon further inspection and realizing the mix of beers in the fridge, he was able to determine that it was indeed his fridge from the family cabin near Linwood, Nebraska. While the Healy family’s business and home in the Schuyler area of Nebraska seems to have weathered the storm, sadly the cabin did not survive, which is why Stouffer and Simpson found the fridge full of beer in the flood waters. One might say the fridge is a true survivor, as this is not the first devastation it has survived in Nebraska. It turns out that the Healy family suffered a fire in 2007 that destroyed a previous home, but the fridge itself still worked, although it carry the residual smell of smoke. The family decided to move the still working appliance to the family cabin, where it stayed until Nebraska was hit by the bomb cyclone. Even though the two Nebraska men cracked open a few beers after finding the fully stocked fridge, they have agreed to return it to the Healy family once the roads have been cleared for travel. Perhaps they will even replace the drinks they took on their way. Either way, it seems that this is one fridge that is able to weather anything that comes its way, including fires and flood. One Response to "Nebraska’s Bomb Cyclone Leads to Flooding and ‘Heaven Sent’ Fridge of Beer"